François Gabart, 29, is seen as one of the most gifted yachtsmen of his generation. He is a friendly and methodical skipper with a rigorous and scientific approach to his job, which does not prevent him from enjoying offshore racing with an enthusiastic freshness. Coming from Charente – a French department – he went sailing for over a year with his family when he was 7. It is a slice of his life which has left its mark on him. François started to build his career through Optimist races, Moth races and Olympics series. 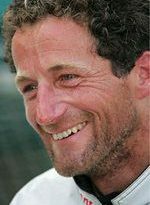 During 12 years, he successfully combined studies and sailing and received an engineering degree from INSA (a French engineering school) in Lyon and won several international races, including two sailing Tour de France for students. From 2008, he performed well in the Figaro Bénéteau II class. Voted « Most talented young skipper in Brittany », he also finished forst in the « rookie » ranking of the Solitaire du Figaro. The following year, he won the 2010 Macif skipper trial and became the single-handed offshore racing French national champion under the colours of the insurance company. 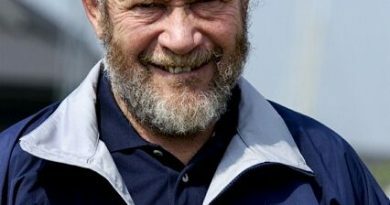 In December 2010, he moved from a Class to another since he won the 2011 B to B Transat and finished second in the 2012 Europa Warm’Up on the MACIF 60-foot yacht competing in the IMOCA tour.